Kensington Systems use BIM to help partners visualise how a build will turn out and efficiently manage the completion of a structure. BIM or Building Information Modelling is essentially a way of managing all the information – both graphical (3D models) and non-graphical – required through all the stages of a construction project. Many have the misconception that BIM technology is limited to 3D design. But BIM includes 3D models, collaborative working and the sharing of project data in a common format. Through BIM, we can work together to detect errors early on and address them, reducing rework. At the same time, BIM allows us to track a build’s progress, reduce conflicts and improve productivity. End clients benefit from BIM as well when they receive a complete and accurate set of information on their new facility. Information in the model can be used for maintenance manuals, commissioning data, and warranty details. BIM is transforming work and company processes across industries. Collaboration is enhanced bringing a new level of efficiency and productivity to the field of construction. BIM gives architects design flexibility that no other technology offers. It provides time-saving features and collaboration tools, automating repetitive tasks. Helping teams communicate better, BIM enables faster and more accurate project delivery. BIM enables stakeholders to create more resilient and sustainable infrastructures. BIM technology captures survey data in hours, improving insights at each stage of surveying and site development work. BIM allows real-time collaboration among stakeholders. Workflows are connected, enabling efficient planning and execution and more predictable outcomes. Throughout construction, real-time updates let stakeholders make better-informed decisions. Using BIM for designing mechanical, electrical and plumbing allows designers to evaluate alternatives and reduce and resolve clashing with various modelling tools. BIM can also be used to generate better project estimates. Constructing complex process plants requires close collaboration between engineers and designers. BIM has all the tools designers, engineers and contractors need to complete a project using a single system. No matter the structure, BIM technology helps structural engineers, detailers, and fabricators streamline fabrication, collaboration and construction. Helping deliver projects more effectively, BIM also aids users in winning new business. 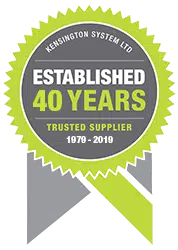 Committed to excellence, Kensington have an enduring policy of continual improvement. For questions on our BIM schematics, contact us today. Kensington have now developed a family of BIM objects for 6 different configurations of the Spaceshade Canopy system, to make specification easier. Each object provides detailed information on our canopy systems’ physical characteristics. It has behavioural data allowing you to position the object in exactly the same way the actual canopies would behave. You can find below BIM objects for the Spaceshade Lite, Lux and Max in fixed, freestanding and saddle configurations. These are available to download in Revit and are suitable for use on BIM Level 2 projects. Download them right here for free. We are working to make more of our product range BIM ready, and value your feedback on specific product requests or on the models currently available. Visit our Downloads page for more resources. For projections up to 4m, we would recommend Spaceshade Lux. For projections greater than 4m, we recommend Spaceshade Max. For full details download the Spaceshade brochure.